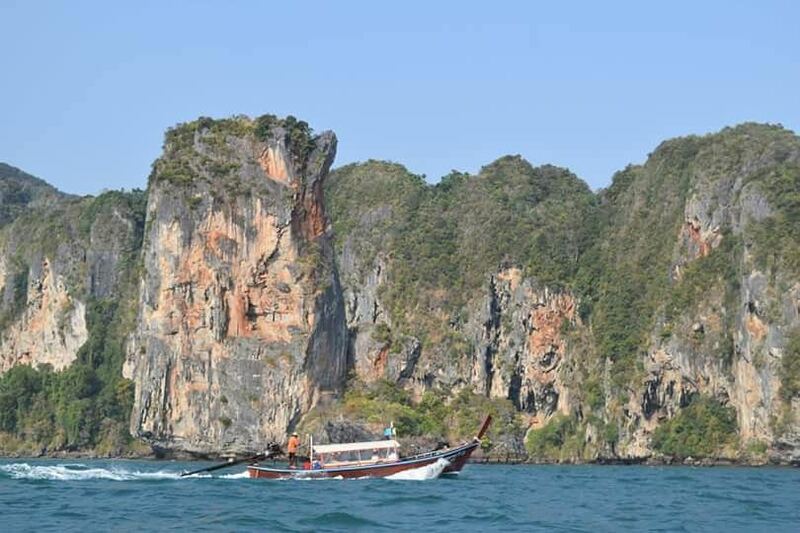 Parked long tail boats and panoramic high limestone cliffs greeted us at the beach front of our hotel. That sight will be constant for the days to come. But we did not intend to be fixed on that view. Roaming around the commercial area of Ao Nang one night, we were able to get a good bargain rate for an island hopping adventure. And so we made the exploration the following day. I honestly don’t know what encompasses the island hop. My friends did the haggling and negotiations. And so every destination comes as a surprise in my case. The tides were high then even for a morning jaunt. We were picked-up by the boatman at our hotel and rode the long-tail boat parked in front of the hotel. That was how convenient our island hopping adventure was. We dropped by some snorkelling sites, passed by interesting limestone rock formations until we settled at the famed Phra Nang Beach. 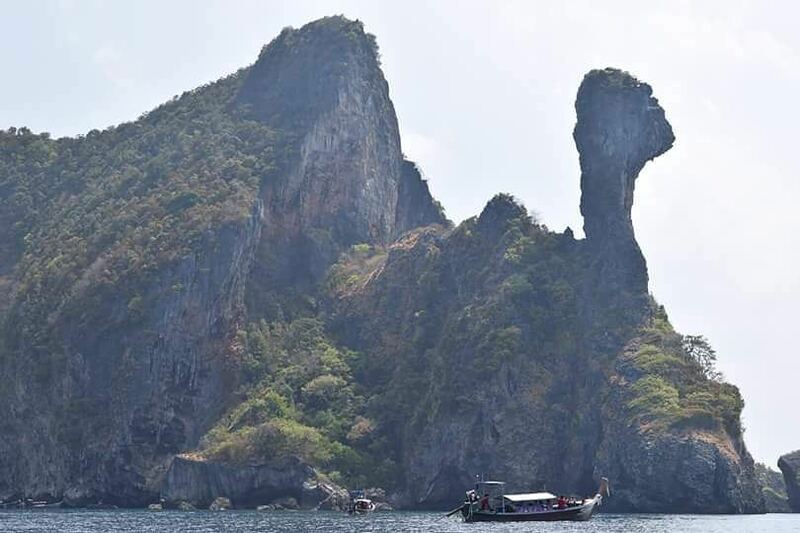 I can’t recall the name of the first stop but the second one was called the Chicken Island, as the prominent limestone rock formation resembles that of a chicken head. But it actually can be the object of imaginative minds – call it whatever you want. 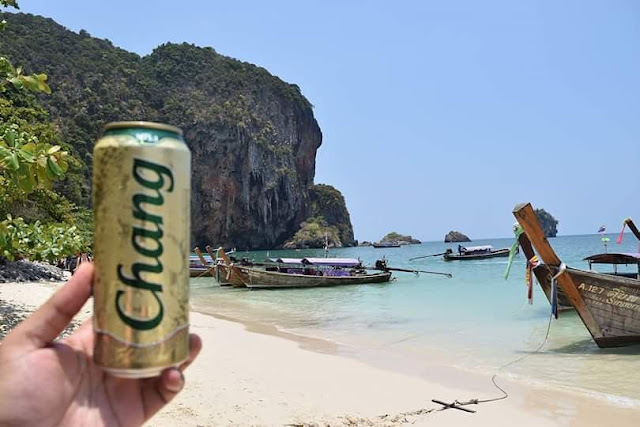 Phra Nang Beach is a white sand beach situated on the southern tip of the Railey Peninsula. There is no entrance or docking fee, which is the very reason why we decided to lounge and have our afternoon drinking spree there. 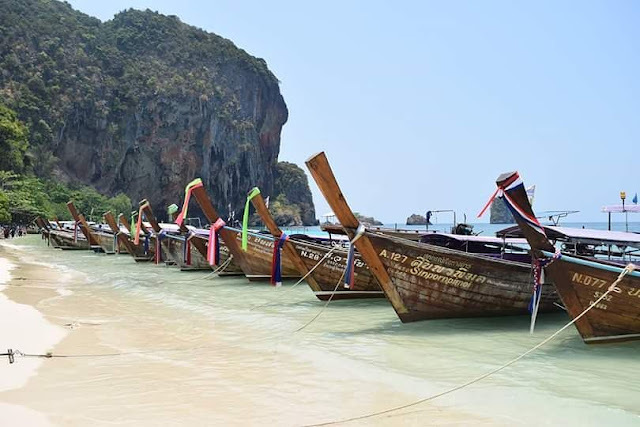 There are no stalls set-up on the shores but vendors are on the long-tail boats. It has the same concept as the floating market only that boats are on the shore - parked. The beach is perfect for swimming when the tide is high but can be quite boring when low tide. I did not swim though. 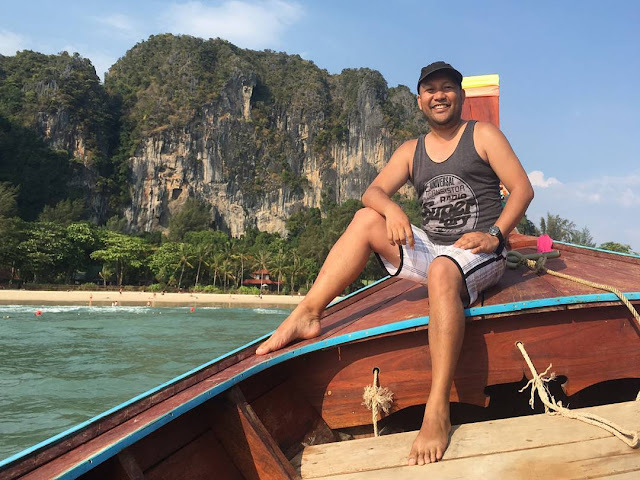 We spent most of the time at Phra Nang Beach. Under the shade of a tree, I had a short nap after the drinking spree while some in the group decided to do some trekking over the towering limestone to reach the famed lagoon. They came back with happy faces (I assume they enjoyed it) and with muddy feet. But they sure did have a good vantage point of the island and the tropical forest that surrounds. I had no intention to engage in strenuous and physically challenging activities. Though Railey itself is known as a rock climbing hot spot, attracting climbers from all over the world, I had my chance of lying on the white sand covered by a mat in a deep slumber for almost thirty minutes. As the sun was about to set and waves getting rough (but still manageable), we decided to head back to Ao Nang Beach. We passed by the Railey Beach and made the same as a picturesque back drop for photos. It was one of the best photo captured for the group. It was a perfect ender for the island hopping adventure.